These prints are designed with the hunter, fisher, and outdoorsman in mind. 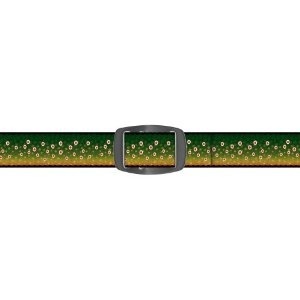 Fits any waist up to 42 inches comfortable, sporty and simplified Artisan, Military & Travel buckles 1-1/8 in. 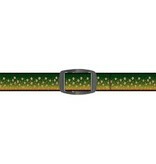 printed polyester band all belts can be trimmed to correct waist size Designed & Assembled in U.S.A.